Family and friends may call at the Amos Carvelli Funeral Home, 201 Edison Street, Nutter Fort, on Wednesday, February 6, 2019 from 12:30 to 2:30 p.m. The service will be held at the conclusion of the visitation at 2:30 p.m. with Pastor Brian Boley presiding. Interment will follow in the Sardis Cemetery. 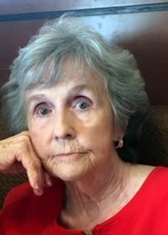 Ruth A. Ash Flanigan, 82, of Gregory Run, passed away on Sunday, February 3, 2019, at her residence, following a lengthy battle with ovarian cancer. She was born in Gregory Run, on August 17, 1936, a daughter of the late Denzil Golden and Audra Avis Carter Ash. She was preceded in death by her husband, Robert Alvin Flanigan, on August 22, 2010. Mrs. Flanigan is survived by one son, Robert G. “Bob” Flanigan and wife Christine of Gregory Run; three grandsons, David Nicholas “Nick” Flanigan and wife Stephanie of Gregory Run, Andrew Luke “Andy” Flanigan and wife Erica of French Creek, WV, and Ethan Alexander Flanigan of Morgantown; four great grandchildren, Ava and Clara, Beau and Ivy; one sister, Helen F. Heater of Meadland Road; as well as several nieces and nephews. In addition to her parents and husband, she was also preceded in death by her brother, Harold G. Ash. Mrs. Flanigan was a graduate of Lumberport High School, and a retired Office Field Clerk for CNG Transmission Corporation, Bridgeport District. She was a member of Calvary United Methodist Church, and a member of the Order of Eastern Starr Queen Esther Chapter 11. She loved the outdoors and mowing grass. In lieu of flowers, donations may be made in her memory to The Gideons International, Clarksburg Gideon Camp, P.O. Box 2075, Clarksburg, WV 26301, or Mon Health Women’s Cancer Center, 1200 J D Anderson Dr, Morgantown, WV 26505.